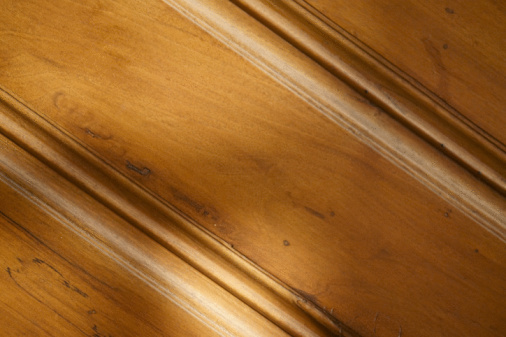 Baseboards are made of wood, which many homeowners stain to maintain the natural wood appearance. 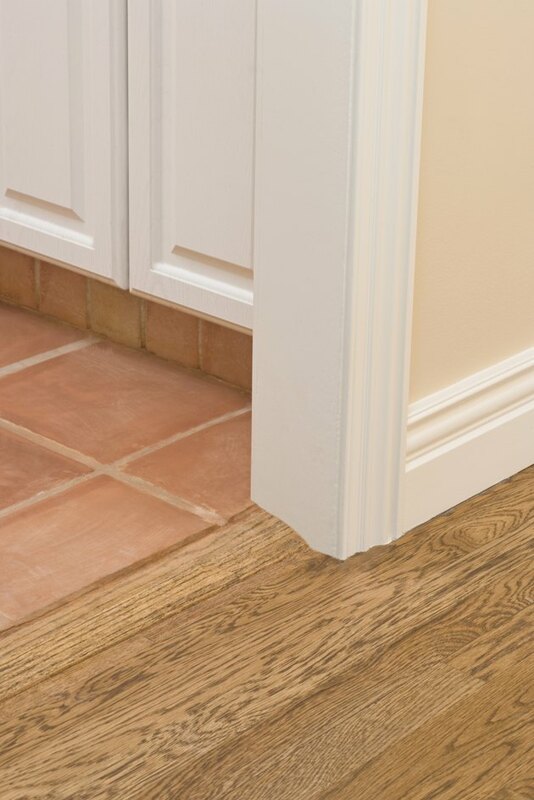 However, it is possible to change from stained baseboards to painted baseboards without purchasing all new baseboards. The key to this project is the primer you use. Neither acrylic nor latex primers will bond with stained wood; therefore, you must use shellac primer. Once the baseboard has been primed, you can paint it with regular latex paint without worrying about flaking. Change your baseboard's appearance with a fresh coat of paint. Push a small pry bar between the baseboard and the wall, about 4 inches from one end of the baseboard. Hit the pry bar with a hammer to drive it down as far as it will go. Pull the pry bar forward to loosen the baseboard. Remove the pry bar and reinsert it about 6 to 8 inches from where you initially inserted it. Hit the pry bar with a hammer to drive it down, then pull it forward. Move another 6 to 8 inches down. Repeat all the way down the baseboard until it is free from the wall. Take the baseboard outside and set it face up across two sawhorses. 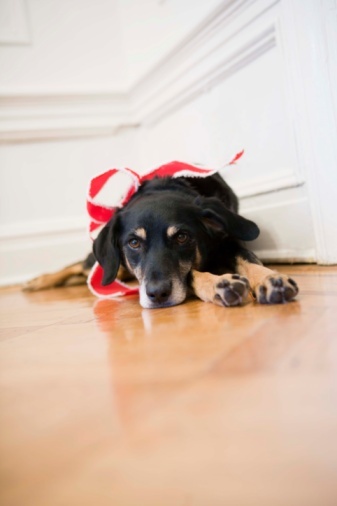 Sand the baseboard with 220-grit sandpaper to remove as much of the stain as possible. Always sand in the same direction as the wood grain. Wipe the dust off the baseboard with a tack cloth. Dip a natural-bristled paintbrush into some shellac primer. Apply the primer to the baseboard in a back-and-forth motion. Allow the primer to dry for 30 to 45 minutes. Apply a paint color of your choosing over the shellac primer using a paintbrush. Use the same back-and-forth motion that you used with the primer. Wait for the first coat to dry for 30 to 45 minutes, then apply a second coat.